As the Chinese Communist Party installs its new president, Xi Jinping, for a presumably ten-year term, questions abound. How will the country move forward as its explosive rate of economic growth begins to slow? How does it plan to deal with domestic and international calls for political reform and to cope with an aging population, not to mention an increasingly fragmented bureaucracy and society? 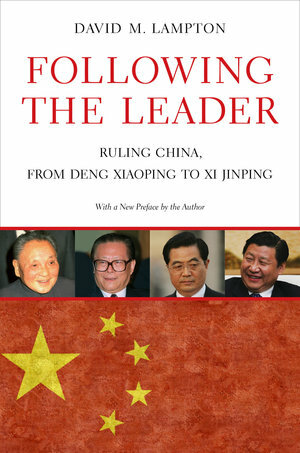 In this insightful book we learn how China’s leaders see the nation’s political future, as well as about its global strategic influence. David M. Lampton is Oksenberg-Rohlen Fellow at The Freeman Spogli Institute for International Studies at Stanford University. He is affiliated with the Walter H. Shorenstein Asia-Pacific Research Center. He also is Professor Emeritus and former director of China Studies at Johns Hopkins University’s School of Advanced International Studies.